With each new Android release, we hear about plenty of promising-sounding new features — but sometimes, things don't pan out exactly as expected. 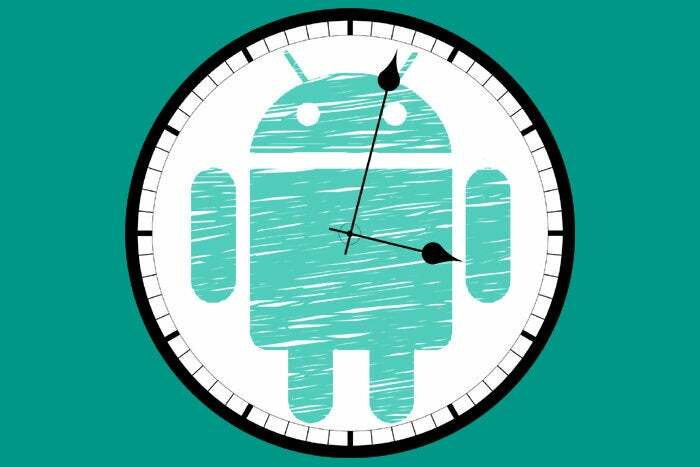 As we gear up for another big Android release and consider both hopes and clues for the still-mysterious "Q," it's a fine time to remember that flashy new features don't always play out in the way we might think. Sometimes, it's the fault of Google's execution and notorious lack of commitment. Remember the insanely impressive Google Now on Tap concept, which ended up being promising but inconsistent — and then ultimately got brushed aside and abandoned not long after its debut? Other times, it's a matter of underlying tech being outmatched by newer and simpler alternatives — like what happened with the once-futuristic-seeming Android Beam, which has languished almost unnoticed in Android for years (and finally appears to be on the brink of being put to bed). Whatever the reason, we've seen more than a few instances of Android features launching to great fanfare and then quietly fizzling — and we, as mammals whose ear canals are constantly bombarded with buzzing about the "next big thing," frequently forget all about 'em. So with Android Q on the horizon and a fresh set of promises sure to strike before long, I thought it'd be worth revisiting some once-revolutionary-seeming concepts that have failed to come to fruition in any meaningful way so far. Only time will tell if any of 'em still stands a chance of taking off — but for now, it seems safe to say the revolutions are still pending. One of Android Pie's most transformative-seeming features, Slices promised to reshape the very way we interact with apps on our phones. In short, the system was supposed to integrate pieces of apps directly into Android's search interface — so you could search for something like "Lyft" in your home screen search box or via the Google Assistant and see the current wait time for a ride, along with icons to actually order a ride, right then and there. Or you could search for a video on YouTube or another streaming service and then play it right in the results, without ever leaving that screen. Instead of opening individual apps and then digging around to find info and perform actions, in other words, you'd just use one simple, consistent system interface to do it all. It was a whole new model of interaction, with endless possibilities and enormous implications. It's now, however, been nearly half a year since Pie's release — and the Slices feature is mostly still M.I.A. Google announced a limited and experimental "early access program" for the feature at a developers' summit in November, and the official Slices page on the Android Developers site currently contains the disclaimer: "Slices will start appearing soon for users, but you can start building today." At the time of Pie's launch last August, Google said Slices would roll out "later" that fall. It's now almost February — so is the big rollout still ahead of us, or is this just destined to become another one of those things that starts out looking like a powerful splash but ends up being more of a gentle ripple? When we first heard about Google's Instant Apps idea, it seemed downright magical. The system — shown off initially at the I/O developers' conference in 2016 — promised to let us use full Android applications without ever downloading a thing. You'd just click a link on a web page, and bam: You'd be inside a company's app and enjoying that native-feeling, app-like experience without any effort or installation. Some developers clearly are embracing the Instant Apps/Google Play Instant concept. The Google Developers site lists 18 "success stories" tied to the system, and a page on the main Play Store site shows just under 30 titles as part of an Instant Apps promotion. But that's a pretty small amount of apps in the grand scheme of things. And from a real-world perspective, when's the last time you ran into an Instant Apps situation in your own day-to-day life? Did you ever remember it was still a thing? For a system that promised to allow us to "run any app on one tap" — to, again, change the very way we thought about apps on our phones — this sure seems to be stuck in a stalled and strangely low-impact state, some three years after its introduction. At the time of Marshmallow's release, Google Translate and Wikipedia were shown off as examples of apps that would take advantage of the new system and add their own custom commands into the Android text selection menu — commands for translating highlighted text on the fly and for looking phrases up in Wikipedia, respectively. Those two apps were supposed to be mere examples — the first steps in a rich new ecosystem of custom text selection actions. Fast-forward to today, and best I can tell, they're still more or less the only significant apps that support the feature. What's more, neither of them bothers to emphasize said support or to alert users to the possibility in any visible way. Translate even started promoting an alternate method of on-the-spot text translation just months after Marshmallow's debut, and that remains the only method ever mentioned within the app. I'd be surprised if many folks even realized the text selection action existed. The revolution, in other words, is still pending — and it's hard not to wonder at what point Google might just quietly phase it out altogether. Now, these examples certainly aren't meant to suggest that anything we hear about in Android Q will meet the same fate — or even that any of these items doesn't have the potential to take off yet and turn into a broadly relevant benefit. But they do serve as timely reminders that while things often sound amazing in introductions, the magic on stage doesn't always result in magic (or much of anything) in the real world. As we think forward to Q and beyond, it's wise to keep that perspective in mind — and to avoid assuming too much about a heavily hyped new feature until we see it fully fleshed out and in action.